The nave windows illustrate seven mysteries of the Redemption. From the early Middle Ages stained glass proved to be an excellent means for talented artists to teach virtually all chapters of the Gospel message. These were seen as "moments" in salvation history to be given a certain permanence in stained glass. The nave windows were installed as part of a renovation of the Chapel to mark the fiftieth anniversary of Seton Hall in 1903 and the fortieth anniversary of the Chapel in 1906. As recorded on memorial scrolls at the base of each window, they were donated by alumni, by Joseph M. Flynn, and by Rev. P. W. Smith. The records of Franz Mayer of Munich, the premier stained glass manufacturer of the late nineteenth and early twentieth century, record the installation of one window in 1908 at Immaculate Conception Seminary in South Orange, New Jersey. This refers to the Seton Hall Chapel, which then served as the seminary chapel. Many of the records of the Mayer Company were destroyed during the Allied bombing of Munich during World War II. Although only one window is mentioned in the Mayer records, we may assume from the similar style and quality of the other nave windows, and the chancel windows as well, that they are all by Mayer. Gabriel Mayer, President of Franz Mayer of Munich, indicated that this may be the case. He also noted that Zettler of Munich, a company long affiliated with Mayer, may have been the manufacturer of the other windows. 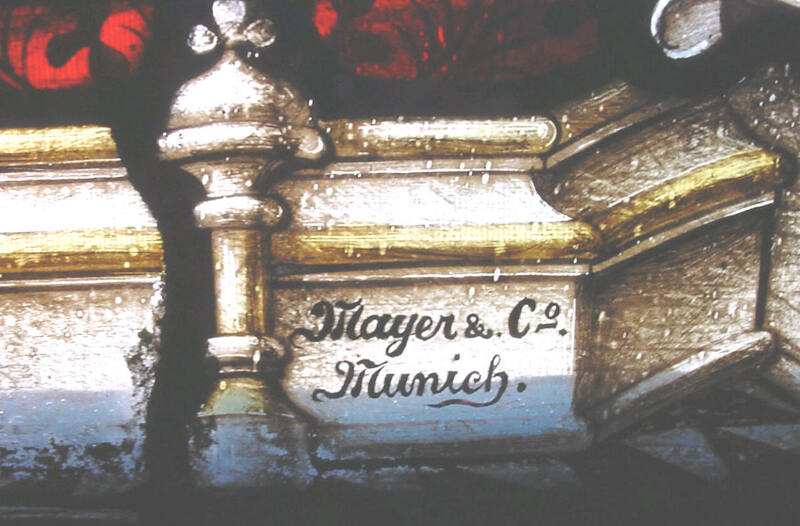 The "maker's mark," in this case "Mayer & Co. Munich," is found on the window "The Risen Lord Commissions St. Peter," in the rear of the Chapel on the left side. The nave windows are reminiscent of medieval stained glass, although the representations imitate the masters of the Renaissance and Baroque periods. The garb of the figures is what the artists of these periods imagined the people of the Apostolic Era wore. Often the clothing is more medieval or Renaissance than of the time of Christ. Each representation is framed in an elaborate gothic frame. At the base, scrolls indicate the benefactor. The nave windows are arranged in chronological order, beginning with the Nativity of Our Lord. 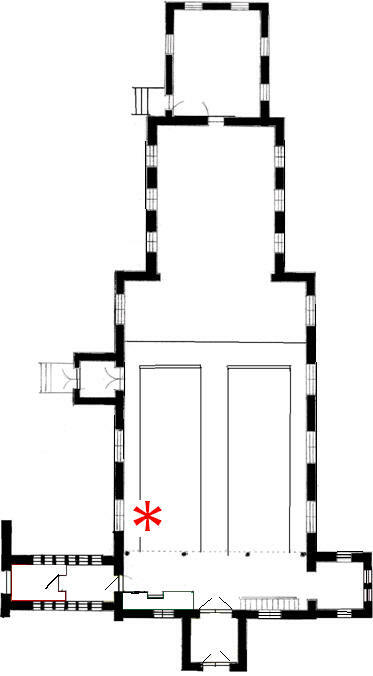 This window is at the head of the right aisle as you enter the Chapel.